Sharpening specialist, VOLLMER with their motto “Shaping Success Together” is ready to showcase the all new advanced grinding and eroding machines for the wood processing industry. 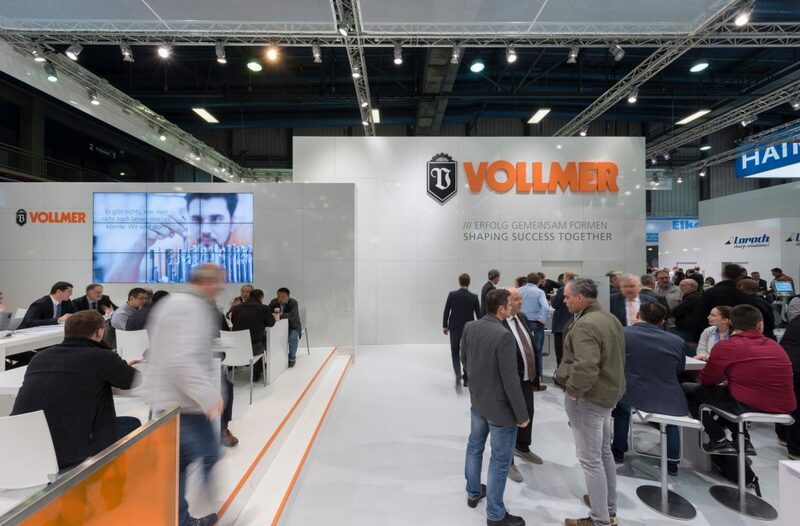 At stand B60 in Hall 27, VOLLMER will present the latest innovations in the product range, such as sharpening machines, circular saws and rotary tools. This year the key focus is on the digital networking of man as well as the machine in the production and VOLLMER brings in V@dison to enhance services through digitization. The visitors at the trade fair will get the opportunity to experience the digital initiative V@dison, that includes PCD-tipped rotary tools, and grinding machine VGrind 360 for carbide tools. VOLLMER aims to set a new standard at LIGNA with the performance package of QXD 250 erosion machine that significantly increases the efficiency of the machine. The QXD 250 disc erosion machine will be displayed at LIGNA to demonstrate how it functions. Diamond –tipped tools such as polycrystalline diamond (PCD) play a key role in the production of wood and composite materials. VOLLMER is all set to offer new packages in both software and hardware with which the key machine performance may be improved in a significant way. VOLLMER offers wire erosion machines for machining PCD tools. The company will present the VPulse 500 wire erosion machine at the LIGNA. Now with a new eroding generator and advanced technology, it can manufacture high-quality PCD tools in large volumes. The new kinematics offer advanced profile accuracy in production as well as maintenance. The touchscreen display of VPlus 500 further allows the user to programme and control the tool quickly in an error free way. The VGrind 360 grinding machine will be displayed at the stall in Hannover from 27 to 31 May. This is perfect for machining carbide tools such as drills and milling cutters, needed in timber construction and furniture making. Technology highlight could be noticed with the sharpening machine CP650 that is suitable for sharpening tooth faces and tooth tops on carbide-tipped circular saw blades within 80 and 650 millimeters in diameter.